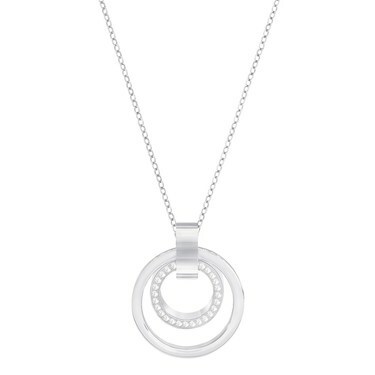 Elevate your everyday look with the sparkling Hollow Pendant. The interlinking, contemporary hoop design sparkles with crystal pavé and features an innovative sliding mechanism for the perfect fit. How do I adjust the length of my Argento necklace?